Jennifer is an only child, and so were her parents--at least that's what she thinks, until she finds an old photo in the back of one of her mother's books. The woman in the photo looks just like Jennifer, down to the smattering of freckles across her nose. And her mother refuses to talk about it. 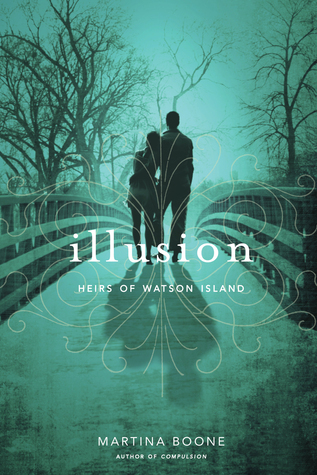 Compelled to find answers, Jennifer embarks on a quest that takes her from the wheat fields of Nebraska to the fishing town of Smithport, Maine, home to the one person who can help her solve this family secret--the woman in the photo. 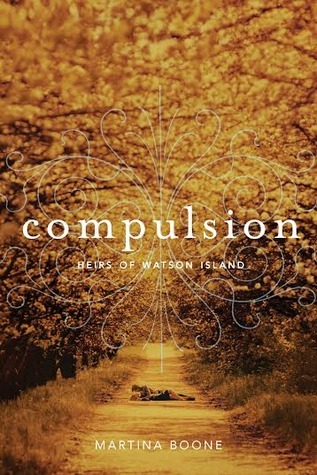 But Jennifer learns that it takes the entire village of Smithport to piece together the story of her mother's hidden past. She needs help from Nathan, the genius with the reluctant smile from across the cove; Little, the elderly town matriarch and former movie star; and The Jacks, three weathered fisherman who dabble in pyrotechnics. As Jennifer discovers the lost chapters of her mother's life, she unwittingly begins to write a few chapters of her own. 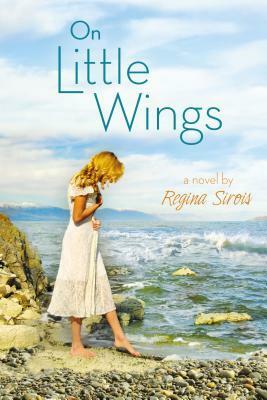 Elegantly written, On Little Wings is an evocative debut novel about self discovery, first love, and the power of family. In a savage land sustained by wizardry and ruled by vendetta, Lina is the enchanting but willful daughter of a village lord. She and her childhood companion, Damek, have grown up privileged and spoiled, and they're devoted to each other to the point of obsession. But Lina's violet eyes betray her for a witch, and witches are not tolerated in a brutally patriarchal society. Her rank protects her from persecution, but it cannot protect her from tragedy and heartbreak. An innocent visitor stands witness to the devastation that ensues as destructive longing unleashes Lina's wrath, and with it her forbidden power. Whether drawn by the romantic, the magical, or the gothic, readers will be irresistibly compelled by the passion of this tragic tale. 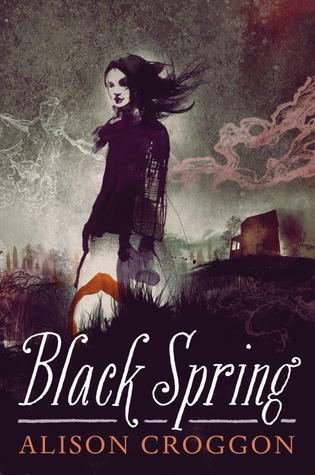 Author Question: What is your favorite thing about Black Spring? That's hard to answer about your own book. It's tempting to say, "my favourite thing is that I have finished it!" 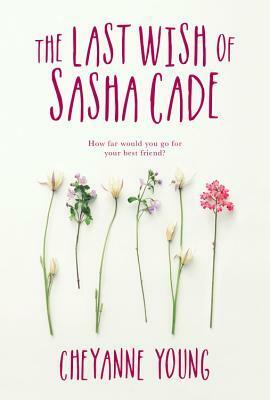 But maybe my favourite thing aside from that is that it's really a book about a deep and passionate friendship beween two girls as they grow up to be women in a harsh world. Autumn has come to New England, and with it a new threat to the city of Boston. British naval ships have sailed into Boston Harbor bearing over a thousand of His Majesty King George III's soldiers. After a summer of rioting and political unrest, the city is to be occupied. Ethan Kaille, thieftaker and conjurer, is awakened early in the morning by a staggeringly powerful spell, a dark conjuring of unknown origin. Before long, he is approached by representatives of the Crown. It seems that every man aboard the HMS Graystone has died, though no one knows how or why. They know only that there is no sign of violence or illness. Ethan soon discovers that one soldier -- a man who is known to have worked with Ethan's beautiful and dangerous rival, Sephira Pryce -- has escaped the fate of his comrades and is not among the Graystone's dead. Is he the killer, or is there another conjurer loose in the city, possessed of power sufficient to kill so many with a single dark casting? Ethan, the missing soldier, and Sephira Pryce and her henchmen all scour the city in search of a stolen treasure which seems to lie at the root of all that is happening. At the same time, though, Boston's conjurers are under assault from the royal government as well as from the mysterious conjurer. Men are dying. Ethan is beaten, imprisoned, and attacked with dark spells. And if he fails to unravel the mystery of what befell the Graystone, every conjurer in Boston will be hanged as a witch. Including him. 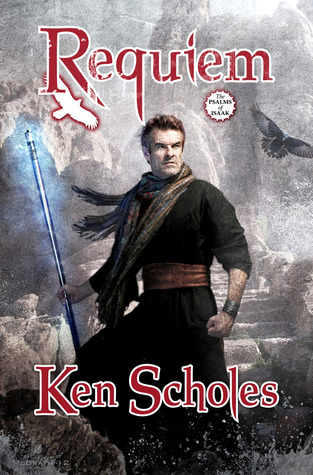 Ken Scholes’s debut novel, Lamentation, was an event in fantasy. 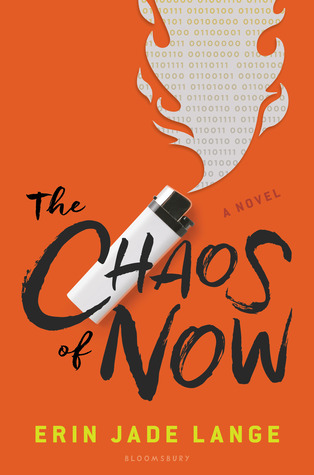 Heralded as a “mesmerizing debut novel” by Publishers Weekly, and a “vividly imagined SF-fantasy hybrid set in a distant, postapocalyptic future” by Booklist, the series gained many fans. It was followed by Canticle and Antiphon. Now comes the fourth book in The Psalms of Isaak, Requiem. Who is the Crimson Empress, and what does her conquest of the Named Lands really mean? Who holds the keys to the Moon Wizard’s Tower? The plots within plots are expanding as the characters seek their way out of the maze of intrigue. The world is expanding as they discover lands beyond their previous carefully controlled knowledge. Hidden truths reveal even deeper truths, and nothing is as it seemed to be. Fifteen-year-old Jeff Jacobson had never heard of Jeffrey Dahmer, the infamous serial killer who brutally murdered seventeen people more than twenty years ago. But Jeff's life changes forever when the man he'd thought was his father hands him a government file telling him he was constructed in a laboratory only seven years ago, part of a top-secret government cloning experiment called "Project CAIN". There, he was created entirely from Jeffrey Dahmer's DNA. There are others like Jeff--those genetically engineered directly from the most notorious murderers of all time: The Son of Sam, The Boston Strangler, Ted Bundy . . . even other Jeffrey Dahmer clones. Some raised, like Jeff, in caring family environments; others within homes that mimicked the horrific early lives of the men they were created from. When the most dangerous boys are set free by the geneticist who created them, the summer of killing begins. Worse, these same teens now hold a secret weapon even more dangerous than the terrible evil they carry within. Only Jeff can help track the clones down before it's too late. But will he catch the "monsters" before becoming one himself? Author Question: What is your favorite thing about Project Cain? 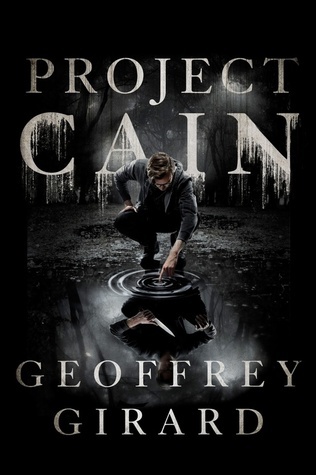 PROJECT CAIN started as a teen novel about cloned serial killers with a strange first-person-but-not narration that my agents asked me to rewrite into an adult thriller. Which I did (CAIN'S BLOOD), and we all liked, but then they asked: "Hey, we loved this Jeff character. 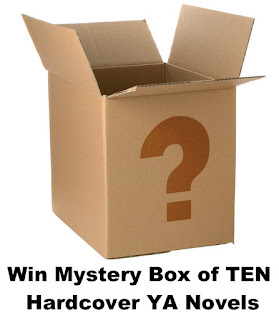 Any interest in doing a YA novel just about him?" Absolutely! In PROJECT CAIN, Jeff Jacobson is the first-person protagonist and teenage clone of the murderer Jeffrey Dahmer. Dahmer at sixteen was a shy midwest kid, book smart, Boy Scout, interested in science and lifting weights, fighting depression alone, not quite sure how to make friends, parents always fighting, realizing he was homosexual in a time/place even way more difficult than it can be today. THAT kid I kinda liked. THAT kid was breaking my damn heart. Fiction is all about What Ifs. My favorite thing about PROJECT CAIN is that I got to get into the head/heart of THAT kid as Jeff Jacobson ultimately became the "idealized" version of what Dahmer could/should have been. Those same frailties, temperament, and promise. What If Dahmer's parents had simply divorced sooner instead of screaming at each other for a decade? What if a concerned teacher'd noticed he was showing up to school drunk? What if Dahmer were raised in the 2000s and there were a couple more people around to say: "You're homosexual, huh? You'll find much love here too and it's the most natural thing in the world." What if he'd gotten some therapy, been put on the right depression meds, etc. I've rarely written in first-person, but the opportunity to speak as Jeff Jacobson and explore this curious "What If?" and his own search for self was very much welcomed. In this dystopian sequel to The Forsaken, Alenna has survived the brutality of life on the wheel--and now she's going back for more. Alenna escaped. It was expected that she would die on the wheel, the island where would-be criminals are sent as directed by the UNA--the totalitarian supercountry that was once the United States, Mexico, and Canada. But Alenna and her boyfriend, Liam, made it to safety. Except safety, they will soon learn, is relative. 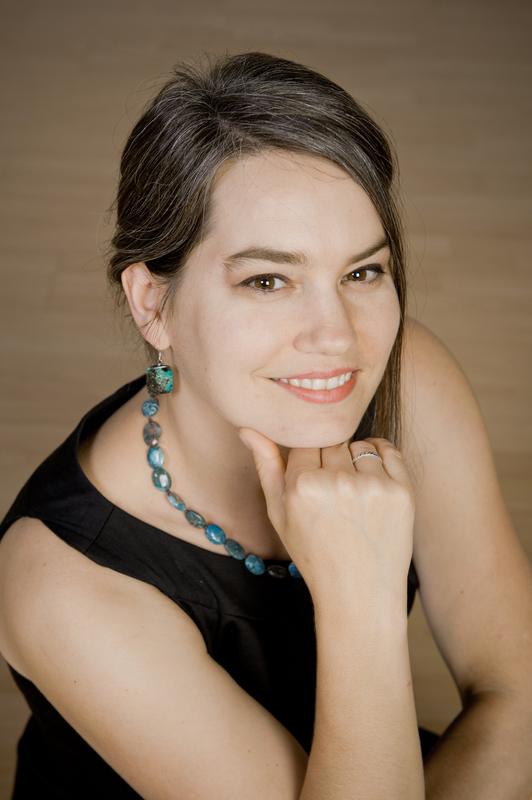 Author Question: What is your favorite thing about The Uprising? 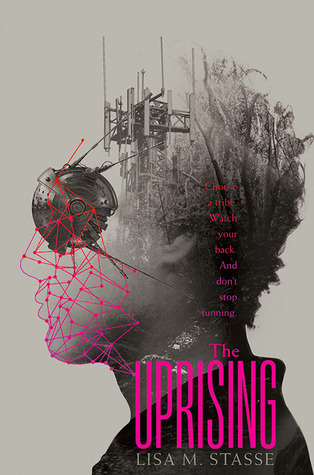 One of my favorite things about The Uprising is that amazing cover art by my friend Lizzy Bromley. It's so cool! But in terms of the book itself, which is probably what you really want to know, I think my favorite element is Alenna’s transformation into a real warrior and a leader. At the beginning of The Forsaken, Alenna was a naïve and sheltered girl when she first got banished to Prison Island Alpha. But in The Uprising, she is ready to take control of her own destiny. One of her biggest challenges is figuring out who she can trust—and learning how to stay true to her own instincts. Alenna is forced to question everything and everyone around her. She is also forced to get dirty and fight. Her continued evolution as a character plays a crucial role in the plot, and whether or not she and the other rebels will be successful in their mission. 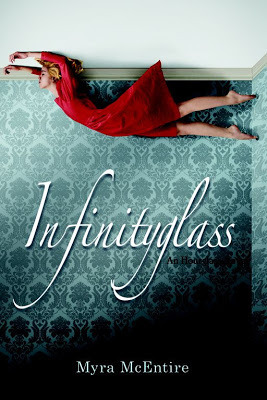 The Hourglass is a secret organization focused on the study of manipulating time, and its members -- many of them teenagers -- have uncanny abilities to make time work for them in mysterious ways. Inherent in these powers is a responsibility to take great care, because altering one small moment can have devastating consequences for the past, present, and future. But some time travelers are not exactly honorable, and sometimes unsavory deals must be struck to maintain order. 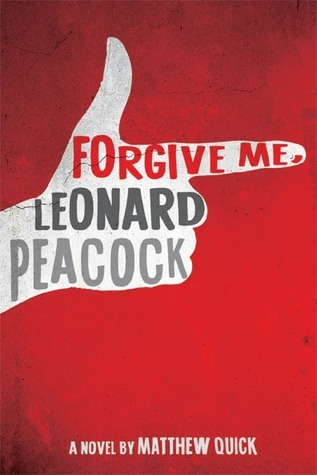 The Vietnam War rages overseas, but back at home, in a year that begins with the hanging of one man and ends with the drowning of another, eleven schoolgirls embrace their own chilling history when their teacher abruptly goes missing on a field trip. Who was the mysterious poet they had met in the Garden? What actually happened in the seaside cave that day? And most important -- who can they tell about it? In beautifully shimmering prose, Ursula Dubosarsky reveals how a single shared experience can alter the course of young lives forever. 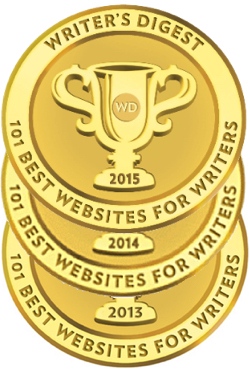 Part gripping thriller, part ethereal tale of innocence lost, The Golden Day is a poignant study of fear and friendship, and of what it takes to come of age with courage. You stop fearing the devil when you're holding his hand. Nothing much exciting rolls through Violet White's sleepy, seaside town--until River West comes along. River rents the guesthouse behind Violet's crumbling estate, and as eerie, grim things start to happen, Violet begins to wonder about the boy living in her backyard. Is River just a crooked-smiling liar with pretty eyes and a mysterious past? Or could he be something more? Violet's grandmother always warned her about the Devil, but she never said he could be a dark-haired boy who takes naps in the sun, who likes coffee, who kisses you in a cemetery...who makes you want to kiss back. Violet's already so knee-deep in love, she can't see straight. And that's just how River likes it. 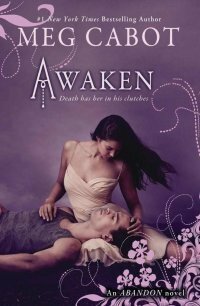 Blending faded decadence and the thrilling dread of gothic horror, April Genevieve Tucholke weaves a dreamy, twisting contemporary romance, as gorgeously told as it is terrifying--a debut to watch. 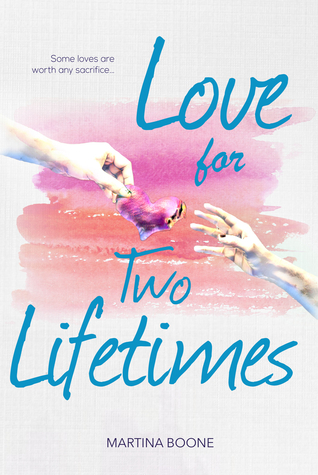 The London sisters return in this charming new novel about love, friendship, and the perils of fame. Despite their very public arrest, Ava and Sophia London are about to discover that in L.A. there's no such thing as bad press. Suddenly, they are the hottest "It" girls in town and are one step closer to making their brand, London Calling, a household name. Their newfound celebrity status takes them jet setting to New York City to expand their brand into fashion and homegoods. Their first stop is fashion week, where they're about to put on their inaugural fashion show . . . but not if their rivals have anything to say about it. The same unseen enemies responsible for framing them in L.A. are back--and determined to ruin the sisters for good this time. Can Ava and Sophia find out who's trying to destroy them before it's too late? 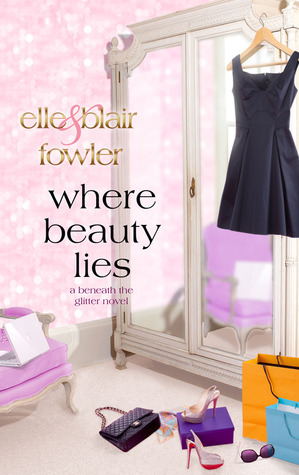 From internet sensations Elle and Blair Fowler comes the dazzling sequel to Beneath the Glitter. A new breed of spy novel combines classic thrills (The Americans, John Le Carre, and Alan Furst), Bolshoi intrigue, and elements of the paranormal. Marina is born of privilege. 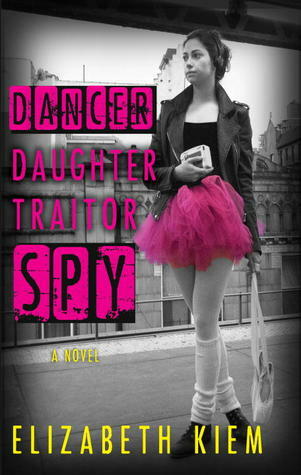 Her mother, Sveta, is the Soviet Union's prima ballerina: an international star handpicked by the regime. But Sveta is afflicted with a mysterious second sight and becomes obsessed with exposing a horrific state secret. Then she disappears. Fearing for their lives, Marina and her father defect to Brooklyn. Marina struggles to reestablish herself as a dancer at Julliard. 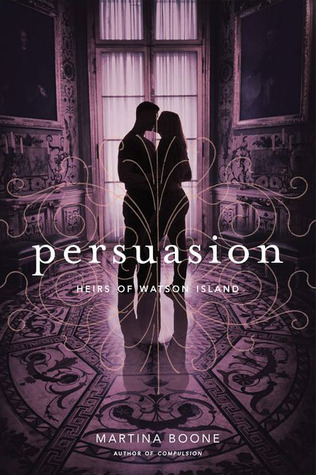 But her enigmatic partner, Sergei, makes concentration almost impossible, as does the fact that Marina shares her mother's "gift," and has a vision of her father's murder at the hands of the Russian crooks and con artists she thought they'd left behind. 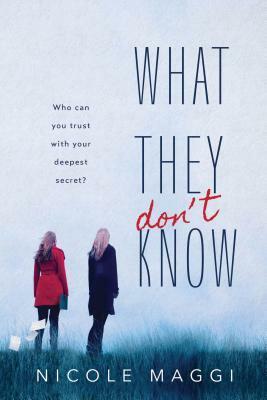 Now Marina must navigate the web of intrigue surrounding her mother's disappearance, her ability, and exactly whom she can--and can't--trust. Only Aaron and his fellow Nephilim can protect the world from Satan's wrath in this riveting finale to the New York Times bestselling The Fallen series.Satan is determined to create his own Hell on Earth and has unleashed unfathomable chaos into the world. Cut off from Heaven, humanity's only hope for salvation rests with eighteen-year-old Aaron and the other Nephilim who fight by his side. These angelic warriors will protect civilization and restore God's favor no matter the cost. But there can be only one champion--and defeat is eternal. The battle lines have been drawn. Armageddon is here. 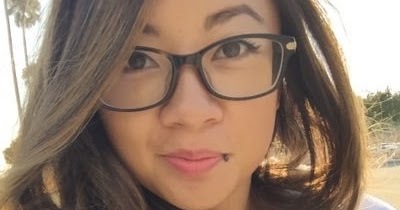 I follow on GFC Christina Kit. I love the cover for Asylum! Wowzer, a lot of great books here. I don't think I could name just one (though The Uprising certainly has my attention!) 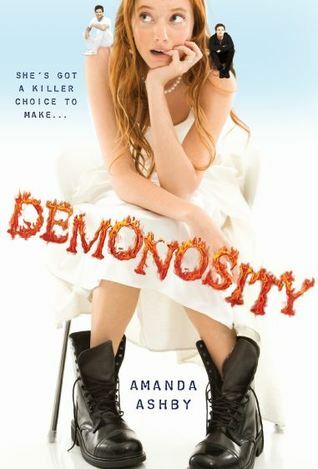 Overall I think I need to broaden my YA horizon by reading books even that don't immediately catch my eye. But as for the ones on this post I think it's okay I'm sticking to the ones that do! Wow, so many great books this week :) (Well, every week!). 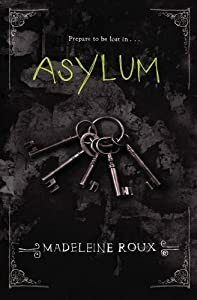 I loved Miss Peregrine's Home for Peculiar Children, so I think Asylum will be a fun read. Black Spring looks really intriguing, too! I' so glad to see horror (and general creepiness) and historical fiction making their way back to the top in YA. 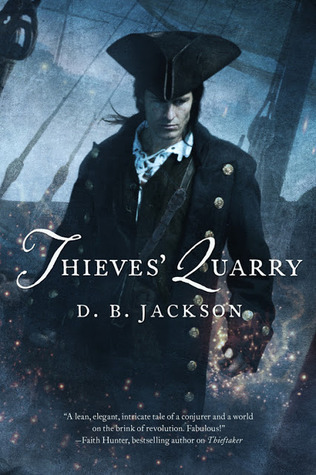 Thieves Quarry looks really good - I may have to buy a copy. Asylum looks so good and I love that the tagline connects with the title. So creepy. So awesome. Congrats to the winners. Thanks for turning me onto some awesome books I hadn't heard of. Awesome group of books again this week. My TBR list gets longer and longer. Thanks for picking my name in last week's drawing. 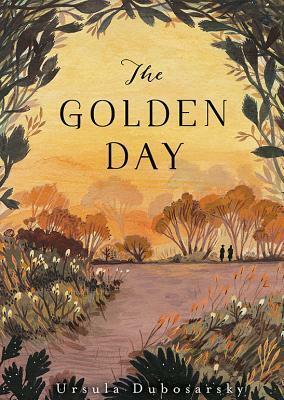 The Golden Day looks great, and I can't wait to read it. 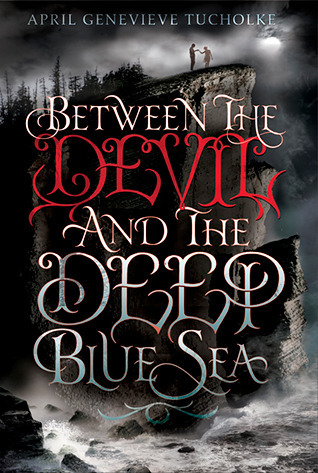 I'm so eager for Between the Devil and the Deep Blue Sea to be released!!! I just loved that book and can't wait to see what everyone else things :) So many good releases coming up! So many great looking books that might appeal to my son. Most I haven't heard of before. 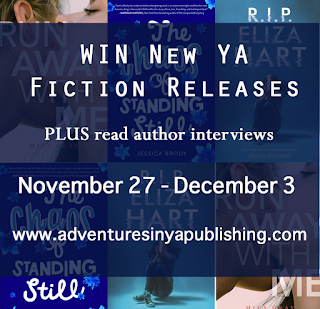 Such a wonderful variety of novels coming out ow and coming soon. Truly awesome! This is a really great giveaway. 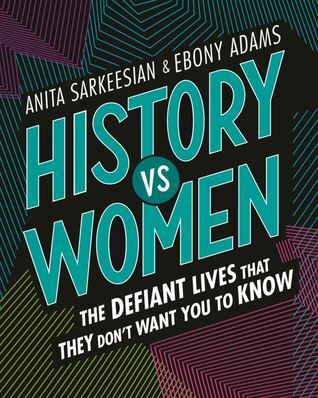 All the books sound like they would be a great read. Thanks for the opportunity. Great book choices! I really want to read Asylum! This all look good to me, especially Black Spring, inspired by Wuthering Heights with a focus on female friendships, sounds like a great combination. Thanks for the giveaway! I LOVED On Little Wings! And Regina is such a nice person. I want to be like her when I grow up.